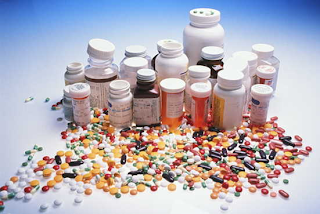 Are you at risk for an adverse medication reaction? Many patients express concern about being on long term medications. In my view, their concerns are well-founded. At times the treatment can be worse than the disease. According to CDC statistics 82 percent of adults are on one or more medications, and 29 percent are on five or more. Polypharmacy (the use of many drugs together, or excessive medications) is a significant problem of the elderly, and of those with chronic illness. These populations are at increased risk for drug-related adverse reactions. How can a patient assure the safety of his or her medication? Many turn to alternative medicine, under the false impression that these substances are somehow safer than those that are brought to market by the pharmaceutical industry. Others rely on medical professionals—doctors, nurses, and pharmacists-- to warn them about the possibility of drug interactions and toxicity. Electronic prescribing has improved drug safety by automating cross-checking and alerting prescribers when two drugs interact. However, in my experience electronic systems can establish such low filters for reporting drug interactions that virtually every drug prescribed may cause an alert to pop up. Which of these interactions is clinically relevant? Often clinicians must use their best guess as to whether two or more drugs in combination will be safe for a particular patient. The cytochrome P450 enzymatic system is involved in the metabolism of many drugs. Although there are more than 50 of these enzymes, only six of them are responsible for the metabolism of 90 percent of drugs. Many significant adverse drug events result from issues that involve this pathway. Ingested substances, whether it’s grapefruit juice, a cup of coffee, an herbal product, or a prescribed medication, can alter metabolism by inducing or inhibiting the activity of the P450 enzymes. Moreover, research has revealed that there is significant genetic variation in their activity from one individual to the next. I’ve had many a patient tell me of his or her unique sensitivity to drugs. These circumstantial observations may well be founded in science, and pharmacogenetics is an emerging field that describes the genetic variation in responses to medication while one patient may have particularly efficacious P450 enzymes, another may have P450s that are slower to operate. Two or more drugs that are metabolized by the same P450 may compete and one drug may reduce the metabolism of another, causing high levels of the “substrate” drug to accumulate, and potentially cause toxicity. Other drugs may up-regulate the digestive enzyme and cause a drug to be cleared more rapidly than normal, reducing its concentration and therapeutic efficacy. Take the popular cholesterol lowering medication simvastatin (Zocor). Simvastatin is used to lower cholesterol and has been associated with important clinical outcomes in patients who are treated with it-- including a reduction in cardiovascular death. However, its use has also been linked with an adverse drug reaction--myopathy, or muscle damage. At its extreme myopathy is known as “rhabdomyolysis,” a process that can lead to kidney failure and even death. Rhabdomyolysis occurs at a rate of 4.4 cases per 100,000 patients exposed to a “statin”-type medication (also including atorvastatin, rosuvastatin, pravastatin). The risk of myopathy is dose related and recently the FDA has warned against using the 80 mg dose of simvastatin for treatment of elevated cholesterol. Simavastatin’s metabolism occurs in the liver with the P450 enzyme CYP3A4. Numerous other medications affect the activity of this enzyme. The calcium channel blocker amlodipine (Norvasc) is processed by the same enzyme. Patients who take amlodipine and simvastatin simultaneously may have reduced clearance of simvastatin, and may be more prone to muscle damage from the drug. Consequently the FDA advises limiting simvastatin dosing in this population to the 20 mg dose. However, enzymatic activity of CYP3A4 is genetically determined. Within the population certain individuals may be rapid or poor metabolizers of the drug, impacting the generalizability of the FDA recommendations from one person to the next. Genetic testing for cytochrome P450 enzyme polymorphisms is not yet recommended. Yet, we are moving in that direction, and no doubt the genetic polymorphisms may prove to provide valuable insight into why particular patients may not respond to standard treatments. For example the drug Plavix (clopidogrel) is an important blood thinner that effects platelet activity and is indicated in patients who have had a stroke, or who have had stents placed for coronary artery disease. Clopidogrel is a pro-drug-- it must be converted in the liver to its active form and CYP2C19 is the predominate enzyme responsible for this conversion. Patients who are poor metabolizers of Plavix do not effectively convert the drug to its active form. In these patients, the drug is less effective at preventing heart attacks, strokes, and cardiovascular death. It is estimated that 2 to 14% of the population are poor metabolizers of Plavix; the rate varies based on racial background. With this finding, some have advocated genetic testing of all patients who need Plavix for its important indication. Another P450 issue has emerged with Clopidogrel. The popular, and now over the counter, proton pump inhibitor (PPI) omeprazole is metabolized by the same hepatic enzyme and is an inhibitor of the enzyme, blocking the conversion of clopidogrel to its active form. However, not all PPIs have the same degree of inhibitory effect on the enzyme (CYP 2C19). The drug pantoprozole (Protonix) may be a less strong inhibitors, and therefore safer for concomitant use with Plavix. These two examples demonstrate the complex determinants of drug metabolism—genetic and environmental—and highlight the importance of using individualized treatment plans in order to optimize therapy and reduce the risk of medication related toxicity. *The FDA website offers a drug Index of Postmarket Safety Information for Patients and Providers. I found the website useful for specific drug information. Should Doctors Stop Using PSA to Screen for Prostate Cancer? The United States Preventive Services Task Force (USPSTF) says yes. Recently the influential Task Force gave the PSA (prostate specific antigen) screening test a “D” level rating, meaning that doctors should recommend against using the test for the purpose of early detection. Prostate cancer is the second leading cause of cancer death in men after lung cancer. Early detection of prostate cancer through screening with PSA was introduced into clinical practice in 1986. Over the past several decades prostate cancer mortality has fallen by approximately 30%. Statistical modeling suggests that this might correlate with the advent of screening with PSA. In addition, over the past several decades there has been an increase in prostate cancer incidence and a shift toward the detection of earlier stage cancers—likely also a result of PSA screening. The purpose of health screening is to detect disease in an earlier stage so that preventive measures can be initiated to improve health outcomes related to that condition. However, in order to justify population level screening, the benefit associated with early detection must outweigh the harm that it potentially causes. Healthy Americans and their physicians have embraced the practice of early detection, particularly with respect to cancer, which along with Alzheimer’s disease, is the most feared illness in our population. The USPSTF analyzed available data on prostate cancer screening and treatment, including the results of the two largest clinical trials—one done in the United States and the other in Europe. The American study (PLCO) found no mortality benefit with PSA screening after a 7 to 10 year period of follow up. Its results have been criticized with the possibility that findings were “contaminated” with too many men in the control group who received screening before and during the study, reducing the apparent efficacy of PSA screening. In contrast, the European ERSPC study showed a statistically significant, but small reduction in prostate cancer mortality (20%), in men who were screened every 4 years over 9 years. Researchers found that 1,410 men would have to be screened and 48 additional cancers would have to be detected to prevent one death from prostate cancer. This efficacy is similar in magnitude (slightly greater) to the effectiveness of using mammography to screen women in their forties for breast cancer. A potential shortcoming of these studies is that the study time could have been too short to detect benefit given that prostate cancer may be very indolent. The Task Force is doing men a great disservice by disparaging what is now the only widely available test for prostate cancer, a potentially devastating disease. We hold true to our current position as supported by the AUA's Prostate-Specific Antigen Best Practice Statement that, when interpreted appropriately, the PSA test provides important information in the diagnosis, pre-treatment staging or risk assessment and monitoring of prostate cancer patients. But not all prostate cancers are life-threatening. The decision to proceed to active treatment or use surveillance for a patient's prostate cancer is one that men should discuss in detail with their urologists. The argument against using PSA to screen, itself an inexpensive blood test, is that it leads to over-diagnosis of clinically insignificant prostate cancer. Postmortem data indicate that approximately one third of men between the ages of 50 and 65 have microscopic evidence of prostate cancer. This percentage increases to over 50 percent for men in their 70s and 80s. Analysis of data suggests that early detection leads to over-zealous treatment—including radiation and radical prostatectomy. Over-treatment puts men in harm’s way with side effects related to treatment --loss of continence (ability to control urination) and erectile dysfunction. I recently read a nice discussion the magnitude of risk associated with screening by Dr. Albert Fuchs. Both physicians and patients are participants in opting for aggressive interventions for early stage cancer. As for me, I tend to find the USPSTF’s PSA screening recommendation a little too reactionary. As stated in a recent New England Journal of Medicine editorial a “C” level rating for this test might have been more appropriate. I am not completely ready to jump onto the anti-PSA bandwagon that many of my fellow internists seem to be espousing and go back to the 1970s. 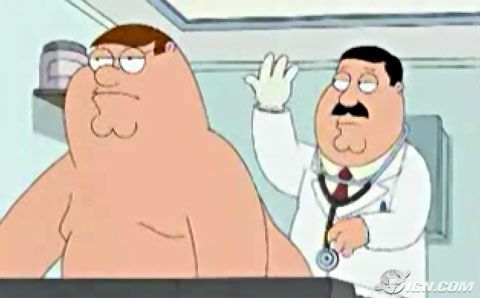 However, I do see that a more cautionary approach to prostate cancer detection and treatment is warranted. This will require discussion, courage, and culture change on the part of primary care physicians, urologists, and their patients alike as we try to effectively convey and accept the message that early detection of cancer is good, but that not all early cancer, or “pre-cancer,” needs early and aggressive intervention. For several years now I’ve been screening many of my patients for inflammation with their annual physical examination using blood test known as high sensitivity c-reactive protein or hsCRP. HsCRP is an inflammatory marker that has proven useful as a marker for cardiovascular risk in some individuals. Inflammation occurs when there is tissue damage. In general, ongoing inflammation is not good for one’s health. In the case of arthritis, inflammation affects bones and joints. In the case of infection, inflammation results when the immune system responds to a pathogen. In the case of cancer, inflammation occurs as cancerous cells invade healthy tissues and cause damage. More recently, inflammation has been identified as an important factor in atherosclerosis, the process that leads to cholesterol plaque accumulation in blood vessels resulting in heart attack, stroke, and peripheral vascular disease. In the Jupiter trial healthy men and women with normal LDL cholesterol (<130) but elevated hsCRP (>2 mg/L) were randomized to receive 20 mg of Rosuvastatin or placebo. The trial was halted early when the treatment group was found to have significantly lower risk of cardiovascular events in the 1.9 years that the subjects were studied. The reduction in risk correlated with a reduction in LDL cholesterol and hsCRP levels. In my patient population it is my experience that about 25 percent of my patients have hsCRP levels that exceed the 3 mg/L threshold for “high risk.” About 5 to 10% of my screened patients have levels that substantially exceed 3mg/L. As a generalist, I have been tasked to take action with these particular patients, bringing them back in to the office for a thorough history to exclude occult infection, ordering additional tests to screen for occult rheumatologic disorders, and to make sure cancer prevention guidelines have been followed—and at times doing additional work-ups. Elevated CRP has also been associated with diabetes and metabolic syndrome. One patient in her 50s had an hsCRP of 28. This patient also had new onset diabetes, with a hemoglobin A1C of 8.1, LDL cholesterol of 136, and BMI of 42. After losing 70 pounds (over one year) and with resolution of her diabetes my patient’s hsCRP came down to 3. A statin was started in addition to aspirin therapy. In this case the crp did not alter my practice, though it did raise my level of concern. Another healthy patient in her forties had a level of 3.5 mg/L. The patient, who is vegan, had an LDL of 80, an HDL of 78, a normal glucose, does not smoke, and has a body mass index of 23. Framingham risk was calculated at less than 1 percent. My patient had astutely read of an association of between elevated CRP and Alzheimer’s Disease risk (which has been described). Unfortunately, there is no clear and proven intervention to reduce this patient’s potential health risk, which is still likely low. I placed her on aspirin 81 mg daily. Within the realm of using hsCRP for the purpose of primary prevention medical knowledge is based primarily on cardiovascular trials and outcomes. According to one expert author CRP may be at least 50% genetically pre-determined. In the case of my healthy patient in her 40’s this seems likely. I was reassured to read a summary in Circulation noting that while a relationship between high crp and cardiovascular death has been demonstrated, elevated hsCRP has not been linked to increased mortality from other causes (like cancer). At least this finding will allow me to focus on cardiovascular health when hsCRP is high, as opposed to engaging in a wild goose chase to detect occult illness. HsCRP measurement is currently recommended only in individuals who are at intermediate risk for cardiovascular disease (defined as 10 to 20 percent chance of having a cardiovascular event in ten years). In this population it can prompt more aggressive management of risk factors, including beginning a statin for only marginally elevated cholesterol. One review in the Annals of Internal Medicine noted that while high hsCRP levels in women with intermediate or high Framingham risk correlated with worse cardiovascular outcomes, high levels in women deemed to be at low risk by Framingham did not correlate with substantially high vascular risk. Despite this finding, at times I have still found it helpful to check hsCRP within a low risk population. The test is inexpensive, it can help as a motivator to prompt lifestyle change that could prevent future increased risk, and 20 percent of heart disease may occur in those with no traditional risk factors. As a novel risk factor hsCRP has become one of many variables known to contribute to cardiovascular health. However, as an isolated finding it still may have limited utility, raising questions that at this time still have no clear cut answers. In November of 2009 the United States Preventive Services Task Force (USPSTF) revised its guideline on the use of mammography to screen for breast cancer, recommending against routine screening of women ages 40 to 49, and changing the screening interval for women ages 50 to 74 from annual screening to screening every two years. This recommendation left doctors and patients alike confused over what to do. With a backlash of public opinion protesting the new recommendations, organizations such as the American Cancer Society continue to support routine annual screening of women beginning at age forty. 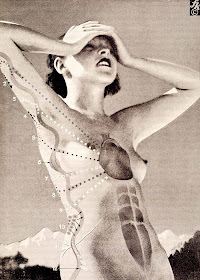 What is a health-conscious woman to do? Randomized controlled trials (RCTs) have demonstrated reductions in breast cancer mortality in women screened with mammography beginning at 40. Screening is most effective in women ages 50 to 69. A meta-analysis done in 2009 for the purpose of updating breast cancer screening guidelines found very little benefit to screening women in the youngest age bracket (40-49) with mammography given the lower disease incidence and higher number needed to screen (1904) to prevent one cancer death. In the United States, the lifetime risk of breast cancer in a woman is approximately 12 percent, or 1 in 8. The risk of a woman developing breast cancer between ages 40 and 49 is 1.45 percent, or 1 in 69, which is why if you are in your forties, you likely know several women who have been diagnosed. The risk between ages 60 and 69 is 3.45%, or 1 in 29. About 5 to 15% of mammograms are abnormal and require further follow up. The sensitivity of mammography for detecting breast cancer is about eighty five percent, with a false negative rate of about fifteen percent. However, because of the low disease prevalence in younger women, the risk of an abnormal mammogram being a true positive is less than ten percent. In fact, for a woman who has annual mammograms each year during her forties, there is an about thirty percent chance of having an abnormal during that decade. Given these statistics and the mixed study results, the USPSTF decided that the potential harm of routine mammography in women ages 40 to 49 outweighed the potential for benefit for most women, with the exception of those at highest risk. However, recently the outcomes of a very large population based study (the SCRY study) of mammography in women ages 40 to 49 conducted in Sweden were published. In the study, women who had an average of 6 mammograms in 10 years had reduced breast cancer mortality compared with those who were not screened. The observed “number needed to screen” in order to prevent one breast cancer death was 1252 women. What comprises high clinical risk of breast cancer? Family history and prior history of breast biopsy are important. 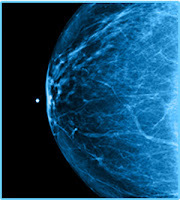 Increased breast tissue density is also known to confer higher breast cancer risk. Clinical risk calculators may be used to quantify risk. What about alternate screening modalities—ultrasound or MRI? Ultrasound is useful for differentiating a fluid filled cyst from a solid breast mass—however, it has limited utility for distinguishing between benign and malignant solid nodules and also cannot detect in situ breast cancer (DCIS), which typically presents as characteristic breast calcification on mammography. Breast MRI is a sensitive screening modality and is recommended for women with genetic breast cancer risk—BRCA1 and BRCA2, or with a calculated lifetime breast cancer risk of over 15 to 20%. Those with prior DCIS, lobular carcinoma in situ, atypical ductal or lobular hyperplasia, or extremely dense breast tissue may also benefit. Given the recent recommendations and findings a dogmatic approach to breast cancer screening should no longer be the norm-- the approach should be personalized. Women should be asked about their individual history, clinical risk factors, family history and personal screening preferences during each annual visit. 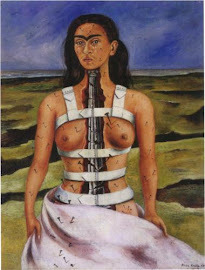 A clinical breast examination should be performed. If both history and examination point to low or average risk, I support screening every two years after baseline mammography is performed at age 40. With additional risk factors, including dense breast tissue, family history, previous biopsy or abnormal clinical exam, I support annual mammography beginning at age 40. At the other end of the spectrum, at this time I also support continuing to perform screening mammography in healthy and functional women who are over age 75 and whose life expectancy is greater than 10 years. The health benefits of exercise are well-established. A recent study published in the Journal of the American College of Cardiology showed that one’s fitness level, as measured a person’s one mile run speed, compared to other cardiovascular risk factors, was the best single predictor of heart attack risk and life span. Studies have shown that regular exercise reduces one’s risk of obesity, diabetes, and hypertension. Exercise has been shown to benefit mood and alleviate the symptoms of depression. On a cellular level, telomere length, a marker of mitochondrial health, has been shown to be improved in those who exercise. Consequently, getting people to exercise more has been adopted as a top strategy of health promotion. I am an exercise zealot. Growing up I swam and dove competitively. As an 18 year old, fearful of the freshman fifteen, I took on running, and have been hooked ever since. In my middle age, wanting to cross train more because of increasingly achy joints and muscles, I have ventured into bicycling. We talk much of the health benefits of these sports, but what of the risks? While exercise long term may be good, do the risks of injury and accident offset the potential for long term benefit and actually increase health care utilization? Consider three of the most commonly practiced forms of exercise: running, swimming and cycling. As a sport, running carries the risk of overuse syndromes: runner’s knee (patella femoral syndrome), iliotibial band syndrome, plantar fasciitis, stress fractures, piriformis syndrome, and Achilles tendinitis, to name a few. Female runners may suffer from the Female Athlete Triad—amenorrhea, bone loss and disordered eating. Marathon running is known to be associated with low bone density and may also increase oxidative stress. Whether or not running is the cause of osteoarthritis of the knee is somewhat controversial. MRI demonstrates knee abnormalities in marathon runners that are not seen non-runners. Clearly in those already affected by arthritis or prior injury, running makes the condition worse. Approximately 1 in 3 runners are injured per year of running. On the other hand swimming, as a sport, is relatively safe, unless of course you drown. It turns out that 36% of swimmers who drown in Georgia are intoxicated while swimming—alcohol and swimming don’t mix. Otherwise, shoulder bursitis and rotator tendinitis are the most common swimming related injuries. In my view, of the three sports, biking may be most risky. Approximately one in three bikers has an accident per three years of biking. The annual rate of accident for regular bikers is about one and ten (less than running). However, in comparison with the debilitating overuse injuries of running, biking carries a more profound risk of serious injury and death. Studies show that the risk of head injury and upper facial fractures may be reduced by 60 to 70% with helmet use. Legislation requiring bike helmet use has increased compliance with this health-promoting behavior. There’s also the threat of pudendal nerve injury and for men, erectile dysfunction. A recent study showed 94% of asymptomatic male, mountain bikers had evidence of scrotal abnormality on ultrasound, presumed the result of chronic repeated microtrauma, compared to 16% of non-bikers who had abnormalities. Avid bikers will tell you that proper seat ergonomics and padded shorts help reduced these risks of saddle injury. In a triathalon a couple of years ago I took a hair pin turn too quickly, driving off the road into a grassy embankment. Fortunately, I sustained only minor abrasions and was able to keep riding. Others are faced with more serious injury. Recently, in a tragic accident, a male physician biking across a bridge in Charleston, South Carolina was killed by a passing truck that hit him throwing him off the bridge. Bikes are no match for cars, and it's a drivers world that we live in unfortunately. I exercise because I like getting outdoors and being active. It gives me a sense of well-being, improves my mood, makes me more confident about my physique, and seems to keep my weight in check. I hope it will result in further health benefits down the road. The positive data seems good, however when prescribing exercise to promote health it’s important to weigh the balance of risk and benefit. Despite popular notions, the practices of stretching and cross-training have not been convincingly demonstrated to reduce injury. Given the physical diversity of those who exercise and the lack of good data on what helps prevent injury, a common sense approach seems reasonable. Of course, as I write this blog with my calf resting on a bag of ice, talking common sense to an exercise enthusiast can be a challenge. Recently a patient shared with me her genetic profile done by 23andMe, a company that provides direct to consumer (DTC) genetic testing. Initially skeptical about the value of such testing, I have recently investigated it further. Should I be discouraging my patients from spending money on this type of screening? Does it offer any value? What are the diagnostic validity and the predictive value of these tests? How are DTC genetic tests regulated for quality and safety? These are some of the questions that I asked myself as I quickly scanned my patient’s test results. In medicine there are over one thousand genetic tests available for clinical use. What are genetic disorders and what do these tests screen for? In some cases genetic tests screen for diseases that are caused by a single gene, such as Cystic Fibrosis or Sickle Cell Disease. However, with increasing frequency, genetic tests screen for predisposition to diseases that are known to be multifactorial, such as type 2 diabetes, cardiovascular disease or depression. In 2010 a list of DTC genetic testing companies and the conditions that they screen for was compiled by the Genetics and Public Policy Center. Most DTC companies that market genetic tests are Internet based companies. The process involves sending a DNA sample off to the company in the form of saliva or a blood swab. The company then engages a laboratory to do genetic testing, and the testing results are returned directly to the consumer. The cost of DTC genetic testing ranges from one hundred to one thousand dollars. Those who oppose DTC genetic testing argue that making this type of complex information available to the consumer without adequate counseling by a health professional could be dangerous, that the notion of relative risk is difficult to interpret, and that there is currently inadequate oversight of laboratories engaged in DTC genetic testing to ensure the analytic and clinical validity of tests. The FTC has issued a consumer alert warning the public that “some of these [DTC] tests lack scientific validity, and others provide medical results that are meaningful only in the context of a full medical evaluation.” Currently the FDA regulates commercial “test kits” to ensure analytic and clinical validity. However, the FDA does not regulate laboratory-developed testing. In addition to the regulatory concerns there are also concerns about DTC genetic testing and compliance with health information privacy, HIPAA. "The relationships between particular genetic variations and the presence or absence of specific diseases or traits are often tenuous and the interpretation of the findings can change over time. This makes the communication of clear and accurate genetic information challenging, even in ongoing face-to-face clinical settings. It is not known how individuals and society more broadly, might understand and interpret this information when it is provided directly to individual consumers." "David Kaufman of the Genetics and Public Policy Center at Johns Hopkins University conducted an NHGRI-funded survey of 1,048 people who had purchased a DTC test from 23andMe, DecodeMe, or Navigenics. Kaufman reported that nearly everyone indicated that the risk reports they received from the companies were easy to understand, though some overestimated their understanding of the results. The group also asked respondents to interpret data for two fictitious people to gauge their understanding of the risk reports. Between 4 percent and 7 percent of the respondents misinterpreted what they saw. Kaufman said that just more than three-quarters of his team's survey respondents said that they ordered the test to improve their health, and some of the respondents said that they'd been motivated to modify their behaviors in light of their test results: 15 percent changed medications or supplements, and 14 percent began exercising more." In another study, reported in the New England Journal of Medicine in February of 2011, consumers using DTC genetic profiling had no evidence of increased psychological distress, change in diet or exercise behavior, or use of preventive screening tests as a result of their genetic testing. Given these results, is the medical community being overly cautious? Should the average consumer be trusted to order and interpret his or her genetic profile without a medical intermediary? Many DTC companies have been shown to produce results that have a high degree of analytic validity. In the case of my recent patient, she seems to have a very reasonable attitude. Despite the test’s prediction of low cardiovascular risk, she did not write off her high cholesterol, but was still willing to treat it with medication. We should be able to interpret relative risks in the context of complex multifactorial disease and the most recent clinical data. 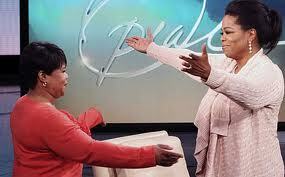 Though in the present its clinical applicability seems limited, in the future we will be increasingly tasked with managing this information alongside of our patients, who like Oprah, will be ever curious to learn more about their genetic origins. Part time women in medicine: are they pulling their weight? A number of years ago I was seeing a female executive for a physical exam. As I chatted with the sixty-something female CEO she remarked: “women sell themselves short,” attributing the lack of women in top management positions to their tendency to opt for less ambitious “mommy tract” positions. While I had certainly heard these words before, that day they hit closer to home. At the time I was in year nine of employment at the Emory Clinic and feeling professional success in my job, which included a leadership position within my practice. I was the senior woman in my group, the university-based general medicine practice of Emory, and a busy and well-liked internist. Though at the time I had been recipient of various departmental awards, I was still an assistant professor—a detail that was, in fact, a chip on my shoulder. However, no woman in my practice had ever been promoted to associate professor. When my first child was born in 1999 I had opted for “part-time” status, 75 percent of full-time, gradually increasing my work load after my second child turned four to 90 percent of full time. My husband is an interventional cardiologist and our work-life balance had been tough. Thankfully, I had a wonderful nanny who helped out at home. Now, working full time in a medical practice that I started, I reflected on those years again after reading a recent editorial in the New York Times on part time women in medicine. The piece, Don't Quit this Day Job, authored by Karen Sibert, an anesthesiologist, argued that federal funding for residency training was wasted on women who increasingly opt for part-time positions. In fact over 50% of female physicians report seeing patients fewer than 40 hours per week (most commonly 30 to 40 hours per week), compared to men, who more commonly report spending 41 to 50 hours per week on patient care. When I posted Dr. Sibert’s editorial on Facebook it was met with a flurry of impassioned negative responses by many of my female physician colleagues, who have opted for the flexibility of part-time primarily in order to accommodate their domestic roles as primary caregivers of young children. In my experience women working “part-time” in medicine and earning “part-time” incomes often add professional work into their unpaid time—seeing extra patients, taking equivalent call despite a part-time salary, and in the academic setting, taking on unpaid teaching, or educational administrative positions. In fact, I recognize that it was my part-time status that enabled me to participate in these types of activities and actually helped my reputation in my division, allowing me to pursue professional interests that I would not have had time for otherwise. In the past several decades women have made significant gains toward equal status in medicine. According to statistics from the Association of American Medical Colleges, in the year that I graduated from high school, 1986, 31% of medical school graduates were women. In 1994, when I graduated from medical school, 39% of graduates were women, and in 2010 48% of medical school graduates were women. However, as in other fields, women still lag far behind men in terms of their representation in leadership positions. In terms of income, significant gaps also remain. In the past these income disparities have been attributed to differences in work hours and a tendency for female physicians to enter primary care fields. However, a provocative recent study published in Health Affairs found that an average gap of $16,819 in salary between newly trained female and male physicians could not be explained by controlling for these factors. Why should we care about having female physicians? Studies have suggested some differences between male and female physicians. Women may spend more time with their patients. Women have different communication styles—they are perceived as more empathic and sensitive. Women tend to employ more participatory decision-making styles, which are correlated with higher patient satisfaction. Women tend to emphasize preventive services more. Women are more likely to discuss lifestyle and social concerns. Of course these observed differences are highly variable depending on the individual physicians in question. Interestingly, male gynecologists have been rated as more empathic and sensitive than male physicians in other fields. Nonetheless, there is strong female preference for female gynecologists. The interaction between gender and patient preference is complex. One interesting study looked at 10,000 patients in an HMO setting and found that male patients of female physicians were the most satisfied customers, compared with female patients of these same female physicians, who were the least satisfied group. Patients have different expectations about communication between male and female physicians and this may impact their satisfaction with care. Going back to the female CEO, I too have been let down at times by what I have perceived as a relative lack of career ambition in some female physicians. Thinking about it, however, I’ve been equally let down by male physicians with what I viewed as misguided professional goals. If women can best manage their careers in medicine as part-time then so be it. Society will benefit, perhaps we will learn something from one another, and women in medicine are already paying the price. 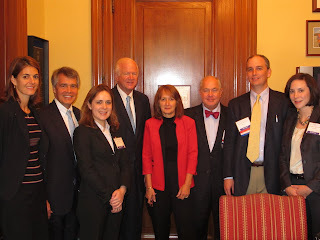 Last month I attended the American College of Physician’s Leadership Day at the Capitol. The American College of Physicians is a national organization of internists--physicians who specialize in the prevention, detection and treatment of illnesses in adults. ACP is the largest medical-specialty organization and second-largest physician group in the United States after the AMA. ACP Leadership Day brings together primary care physician advocates from all over the country to discuss national health policy and to lobby for key health regulation. I went as a representative of the Georgia Chapter along with six other physicians from our state, including our Chapter Governor, Jacqueline Fincher, MD, MACP, a medical resident and a medical student from Emory University School of Medicine and Executive Director of the Georgia Chapter, Mary Daniel. The event included a learning session in which we reviewed the ACP’s priorities. We heard from ACP president Virginia Hood and Bob Doherty, SVP, Governmental Affairs & Public Policy for ACP. Dr. Doherty also summarizes the day in his blog ACP Advocate. Nancy Nielsen, MACP, Senior Advisor, Center for Medicare & Medicaid Innovation spoke, appealing to physicians to provide feedback to the Center on the recently proposed rule for Accountable Care Organizations, which has been criticized for its complexity and for being out of reach for smaller medical practices. We also heard from a bipartisan congressional panel that discussed the ACP priority issues in the context of current legislative considerations. As one might imagine, much of this year’s discussion focused on the national budget crisis and lack of available funds for key Accountable Care Act programs. Later in the evening, after a keynote address by Alex Castellanos, Political Strategist and Analyst at CNN, Max Baucus was awarded the Joseph F. Boyle Award for Distinguished Public Service. "Wiping out Medicare’s accumulated debt would cost almost $300 billion, according to the Congressional Budget Office, and maintaining it with 0% updates until the end of the decade would cost more than $275 billion. With the current focus on reducing the deficit, neither of those options looks appealing." Fund programs that support expansion of the primary care workforce: the National Health Service Corps, Section 747 Training in Primary Care Medicine and the National Health Care Workforce Commission. The Medicare Primary Care Incentive Program, which preserves primary care incentive payment through 2015, while enacting further reforms to strengthen primary care (Medical Homes and Accountable Care Organizations). The Medicaid Comparability Program (ties Medicaid payment rates to Medicare rates--currently they are significantly lower). The Patient Centered Outcomes Research Institute, which researches the clinical effectiveness of different treatments to better inform patients and physicians in decision-making. Empowering States to Innovate (allows states to opt out of ACA requirements three years early if they enact a program with equivalent coverage, i.e. Vermont). Patient’s Freedom to Choose Act, which repeals a provision of the ACA that requires that physicians provide written authorization for over the counter drugs reimbursed by a flexible spending account or a health savings account. State pilots to test health courts (would have medical liability cases heard by expert judges rather than lay juries). On Thursday the Georgia Chapter broke out into small groups to speak with our legislators about these priorities. 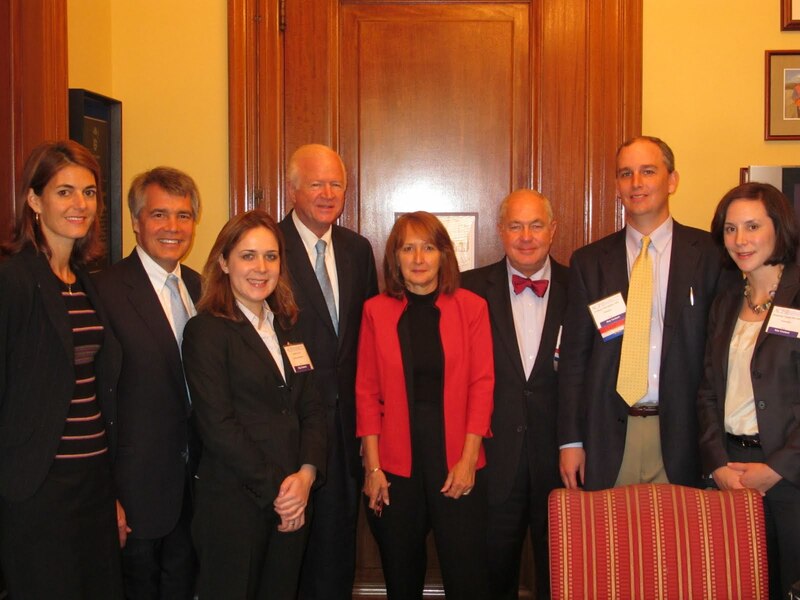 Among others, our chapter met personally with Senator Saxby Chambliss and Representative Tom Price. I was struck by various things I learned while at Leadership Day. As I spoke with a local physician who is employed by the Piedmont Physician’s Group in Atlanta I learned that this large multispecialty group is no longer accepting new Medicare patients who are enrolled in Medicare Advantage programs, and that many Piedmont physicians are also closed to new traditional Medicare patients. This speaks to the significant access issue that patients of the future will have unless Medicare is able to successfully reform, while still guaranteeing stable reimbursement for physicians. In Washington there was significant discussion about Medicare innovation and the proposed new models of care delivery—Medical Homes and Accountable Care Organizations. Whether or not participation in such models will be feasible for small independent physician practices remains to be seen—and many are fearful. At present most physicians cannot get health insurance funding for being “Medical Home” certified. Locally, in Atlanta, several hospital-based groups are experimenting with Medical Home Pilots: Wellstar participates in a Medical Home pilot with Humana, Piedmont Physicians Group participates in a Medical Home pilot with Cigna, and Emory will soon launch a Medical Home pilot with Aetna. However, none of these pilots involve more than a single payer. While I sensed bipartisan support for fixing the SGR, there was significantly less agreement about how to best reduce Medicare cost while improving quality of care and access. "won’t yield to a massive top-down national project...Successful redesign of health care is a community by community task. That’s technically correct and it’s also morally correct, because in the end each local community – and only each local community – actually has the knowledge and the skills to define what is locally right"
This being said, Dr. Berwick will need to work to succeed in convincing many that implementing these ACA programs can make a positive difference on a community level in improving health care. To help reach consensus from both sides of the aisle, ACP Leadership Day was a good opportunity for practicing internists from around the country to tell their local stories, illustrating how federal policy impacts day to day practice on a micro-level. I hope that some of our messages were heard. Treating reduced bone density in women is a big business—from its detection with bone density screening (DXA), to its treatment with medications, such as the blockbuster bisphosphonates, to the medical care that the condition generates through referrals to specialists. It seems curious to me that men have been neglected as the objects of this frenzy. It’s estimated that the lifetime risk of an osteoporotic fracture in women is 1 in 2, and in men that it’s 1 in 5. With our aging population, hip, femoral and vertebral fractures are a significant source of morbidity and mortality in the elderly. I’ve written about treating bone loss in women: “Osteopenia: to treat or not to treat.” A study published last year in the Annals of Internal Medicine demonstrated that although hip fractures are more common in women, they lead to higher mortality in men. In general, the onset of osteoporosis is ten year delayed in men compared with women. Recently a middle-aged man consulted with me about osteoporosis. Several years prior a gastroenterologist had been worried about my patient’s chronic use of omeprazole, a proton pump inhibitor. Proton pump inhibitors reduce acid secretion in the stomach. Their use has been linked to reduced absorption of calcium and possibly to an increased risk of osteoporotic fractures, though this is still controversial. A bone density test was ordered and my patient’s bone density was found to be low, in fact, in the “osteoporosis” range (T score <-2.5). My patient was sent to an endocrinologist and was determined to have no secondary risk factors for osteoporosis. However, my patient was prescribed alendronate. With no clear end in sight for treatment with this medication, he asked me whether I felt it was necessary to continue. 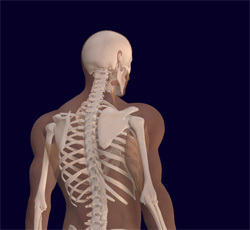 The fact is little is known about treating men’s bones--that is, the ones in their skeletons. Experts acknowledge that while bone mineral density testing may be useful, it is just one piece of the equation when it comes to assessing a person’s fracture risk. Clinical risk calculators take into account clinical risk factors and project a person’s ten year risk of suffering an osteoporotic fracture. The most widely known risk calculator is called FRAX, a tool developed by the World Health Organization. Clinical factors that contribute to fracture risk include age, body mass index, tobacco use, glucocorticoid use, alcohol use (>3 drinks per day), parental history of hip fracture, “secondary” causes of osteoporosis (low testosterone, hyperparathyroidism, hyperthyroidism and certain drugs), and the presence of rheumatoid arthritis. In their recently released Guidelines on the Treatment of Osteoporosis the USPSTF concludes that there is insufficient evidence to support screening men for osteoporosis. The case of my patient is a good example of how the well-intentioned use of testing may lead to information that we just don’t have good answers for yet. In the absence of firm data, the question becomes, does one opt to treat with medication, for how long, and with what sort of monitoring? And if not, then what should one suggest? Frankly, I find the relative lack of data about male osteoporosis surprising.